Our thoughts and prayers go out to the family of former REALTOR®, Kenneth Ferguson. Kenneth was owner/BIC of The Property Shop in Lenoir for many years. He went to be with the Lord on April 12, 2019 at Wake Forest Baptist Health of Wilkes. After 16 years, Debbie is retiring! CVAR Blood Drive 4/10/19 – 11:00 am – 3:30 pm. Make your appointment today! CONGRATULATIONS TO OUR 2019-2020 SCHOLARSHIP RECIPIENTS! Congratulations to our CRS Recipient – Xan Pilgrim! 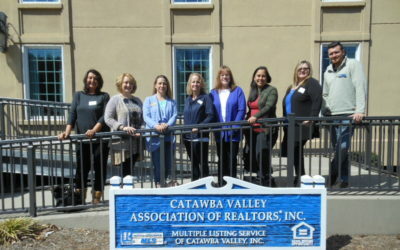 On behalf of the Catawba Valley Association of REALTORS®, we are proud to add Xan Pilgrim to the list of dedicated REALTORS® who hold the highly acclaimed CRS Designation! Congratulations to our GRI Recipients! We would like to recognize Jennifer Elkins & Roseann Flowers with Hickory Real Estate Group, Inc. for completing this training and earning the GRI Designation! Deadline to submit application is March 15, 2019. Apply today!